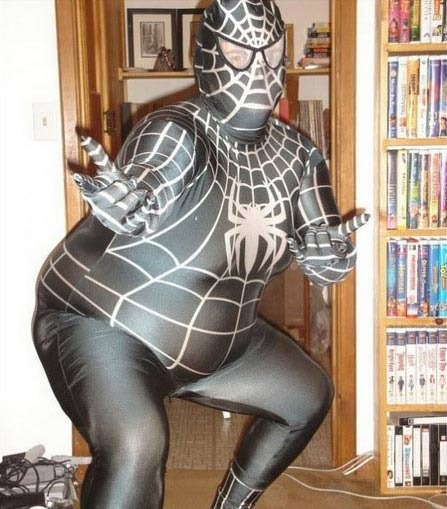 Is this what happens when a beetle gets bitten by a radioactive sack of lard? Nope. This is in fact a perfectly normal and healthy Leaf Beetle! 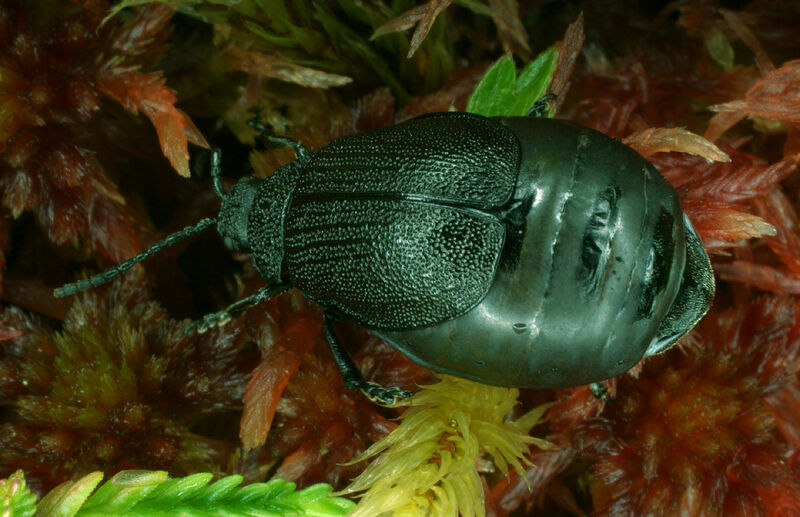 Chrysomelidae is an ENORMOUS family of beetles containing some 35,000 species. 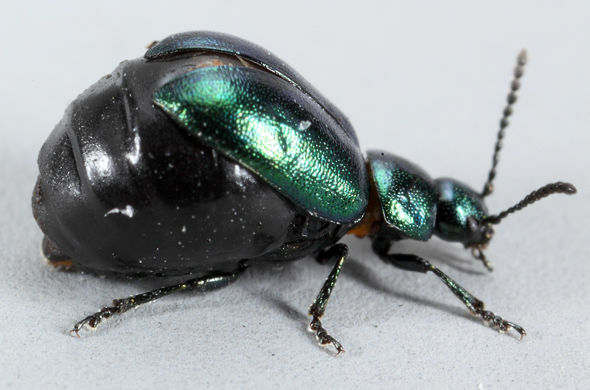 They're called Leaf Beetles, apparently due to their habit of loitering on leaves and eating them. As you can imagine, they come in all manner of shapes and sizes. 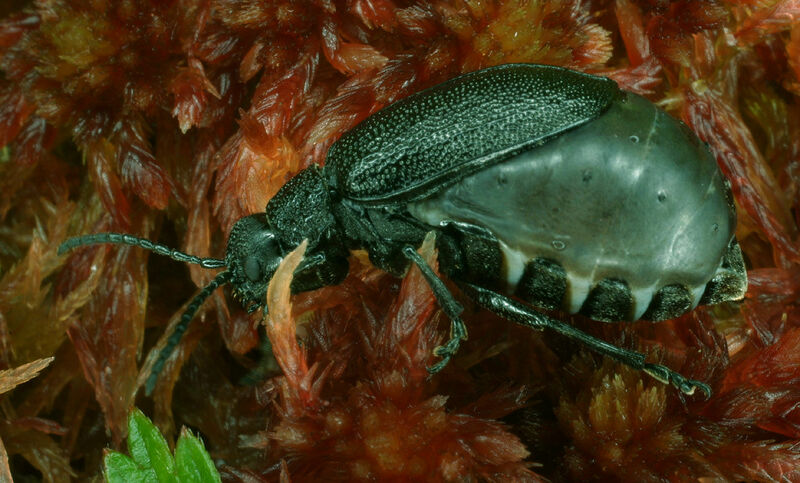 There are colourful ones, shiny ones, spiky ones and quite a few pest ones. 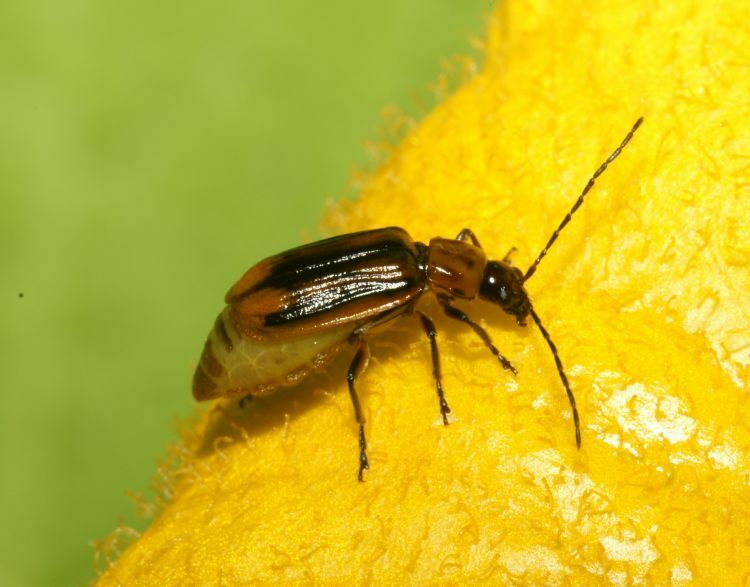 The pests are often named after the particular leaves they eat, like the Colorado Potato Beetle or the Asparagus Beetle. What if the Dead were named after what they eat? Would vampires be the Blood Dead? Zombies, the Brain Dead? If there was a species that had a taste for the flesh of delegates to the United Nations would they be the UN Dead? 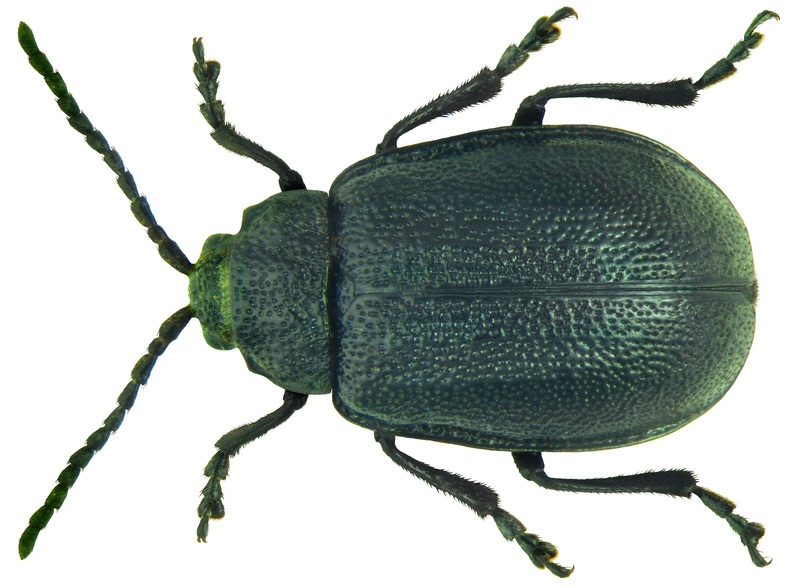 Anyway, some Leaf Beetles are a blight on humanity for reasons other than they eat the same plants we do. They're a blight on the eyeballs, instead! It's one thing to put on a few pounds, it's something else to put on a whole lot of them and refuse to update your wardrobe. 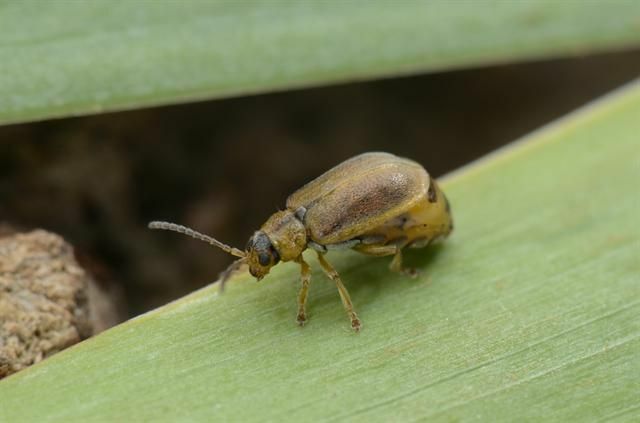 That's the problem certain species of Leaf Beetle get into. Their abdomen bloats to an obscene degree and the bits of exoskeleton on there stretches out to accommodate their new reality. The wing cases... don't. At all. They end up looking like a chubby Leaf Beetle larvae with completely inadequate wing cases flapping about in the face of such unwholesome girth. It's only the female who gets like this and she only does so during the mating season. She's packed full of of an unholy number of eggs. 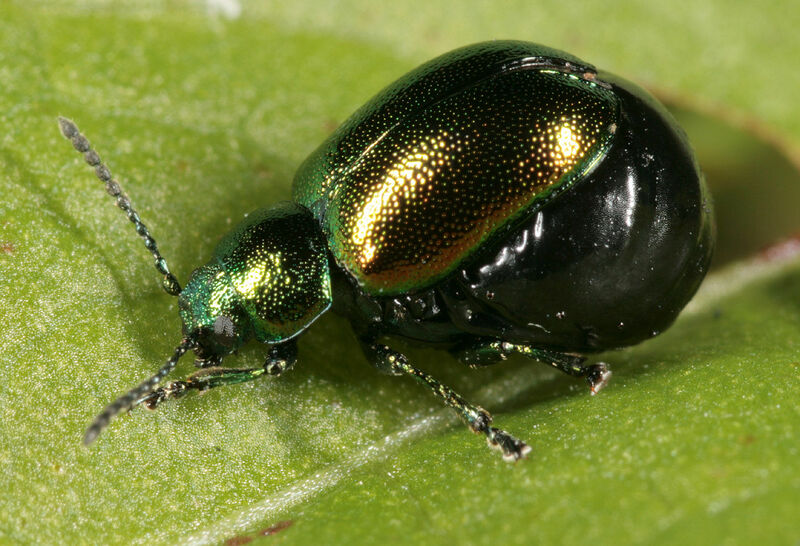 The Green Dock Beetle for example has 2 to 4 bouts of egg-laying in a single year. She lays several hundred eggs each time for a total of over 1,000 in her lifetime. 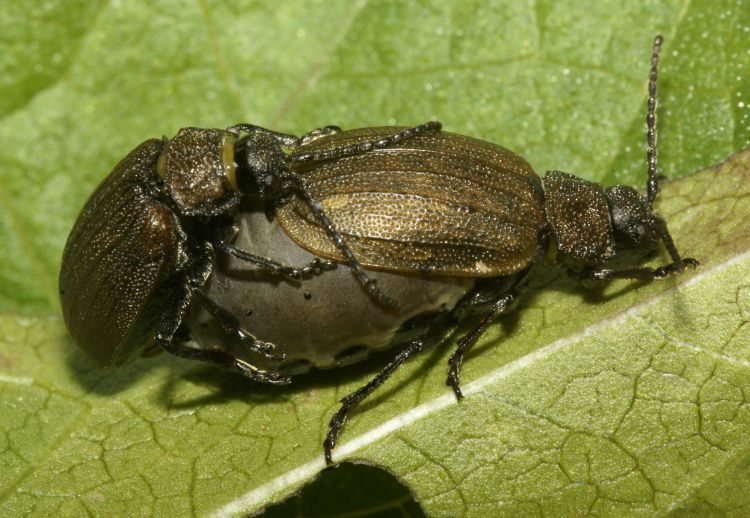 And that's a shame for the dock, since the Green Dock Beetle is one of those named after the plant it eats. The males are like "hey, fattie bum bum" and jump on. They look like they're rolling around on one of those huge exercise balls. The female can now go around divesting herself of all those eggs. I must be nice take the weight off all those feet. I wonder if you can get stretch-marks on an exoskeleton? Anybody else have Sir Mix-a-Lot running through their heads during that article? Are you a bloated mass of unfertilized insect eggs or are you just happy to see me? 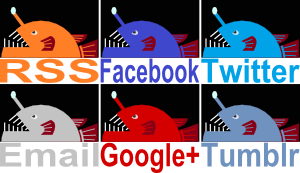 @Lear's Fool: Oh man, I know! @TexWisGirl: Glad I gave you fair warning! @Crunchy: Haha! Well at least it's not as dangerous as a gun!